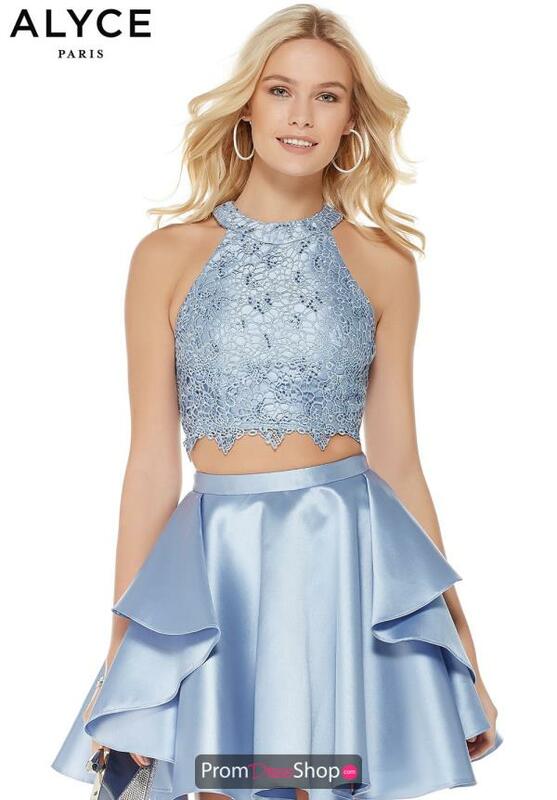 Chic homecoming dress 3813 by Alyce Paris is sure to make a statement at your next special event. This dress features a lace crop top which is embellished with beads that accentuate the beautiful designs in the lace without overwhelming them. The A-line skirt is made in a structured mikado fabric, with unique ruffles that hang down the sides of the skirt.